Ok so I think my Christmas shopping is done.... other than a few little bits I am done anyways.....Hope everyone is having a fantastic week! Just a quick post today to let you know what is happening at the Scrapyard in the new year! 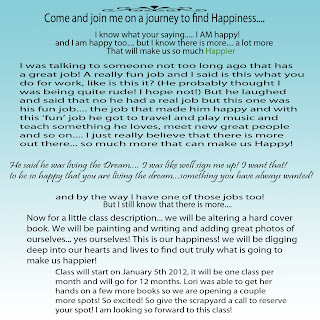 This is going to be such a great class I can hardly wait! I am hoping to have it in the store in the next few days..... probably between Xmas and New years... Here is hoping! This class will start on January 5th so if you are interested call the scrapyard to review your spot! I only have a couple spots left so let them know quick! I am also going to be having another series of Shabby classes.... Shabby 5! I can hardly believe that we are at 5 books already! So excited aobut that!!! 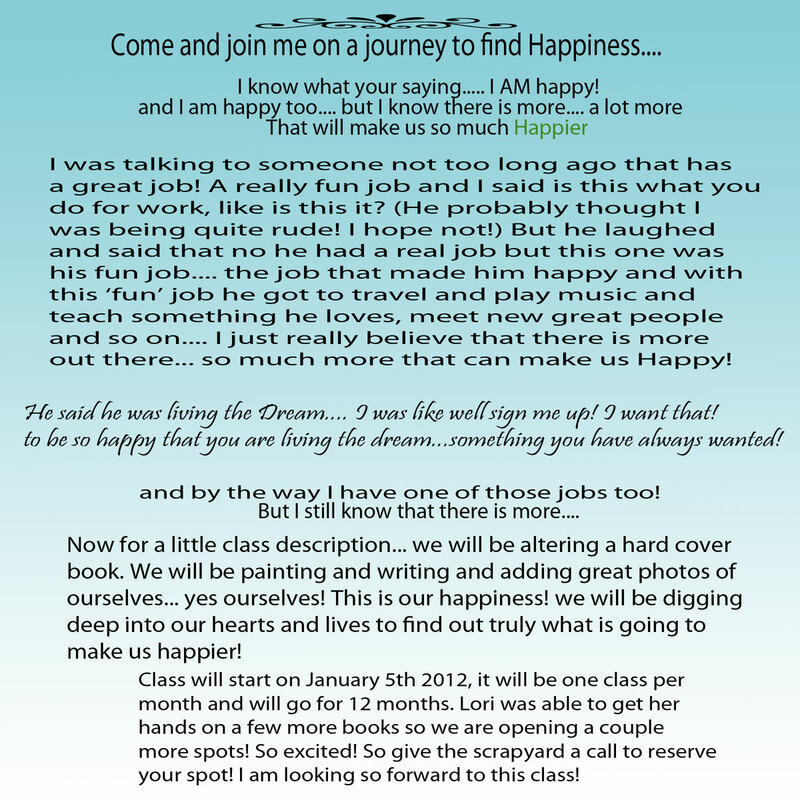 that class will start on January 9th... there might still be room in that one as well! I think Lori will be sending out an e-mail to let everyone know the details!!! Have a great week everone, hope to blog again before Christmas but If I don't I hope everyone has a fabulous day!!!!! Merry Christams to you all!!! Merry Christmas Lynn. to you and your beautiful family.